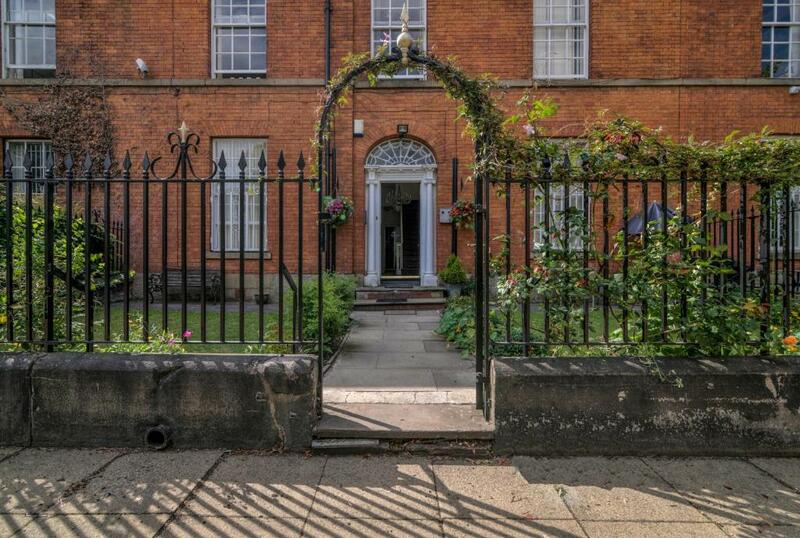 The Ultimate House Sleeps 30 in Manchester features accommodation with free WiFi, 1.6 miles from John Rylands Library, 1.6 miles from The Lowry and 1.6 miles from Royal Exchange Theatre. This holiday home is 1.7 miles from Chetam's Library and 1.8 miles from The Opera House. The holiday home consists of 8 separate bedrooms, 5 bathrooms and a living room. A flat-screen TV is featured. Manchester Arena is 2 miles from The Ultimate House Sleeps 30, while Manchester Central Library is 2.1 miles from the property. The nearest airport is Manchester Airport, 10.6 miles from the property. The Ultimate House Sleeps 30 has been welcoming Booking.com guests since 13 Aug 2018. When would you like to stay at The Ultimate House Sleeps 30? House rules The Ultimate House Sleeps 30 takes special requests - add in the next step! A damage deposit of GBP1000 is required 7 days before arrival. This deposit is fully refundable 7 days after check-out as long as there has been no damage to the property. Please inform The Ultimate House Sleeps 30 in advance of your expected arrival time. You can use the Special Requests box when booking, or contact the property directly with the contact details provided in your confirmation. A damage deposit of GBP 1000 is required. The host charges this 7 days before arrival. This will be collected by bank transfer. You should be reimbursed within 7 days of check-out. Your deposit will be refunded in full via bank transfer, subject to an inspection of the property. We need at least 5 reviews before we can calculate a review score. If you book and review your stay, you can help The Ultimate House Sleeps 30 meet this goal.